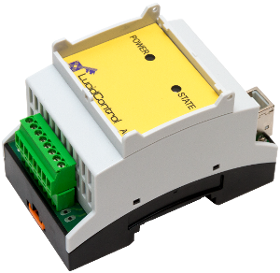 The USB Digital Input Module and the USB Digital Output Module are two devices from the LucidControl Product Series which are able to control digital IO signals. The USB Digital Output Module is able to control up to four digital signals and can manage e.g. 4 power loads. The USB Digital Output Module is available in three different options including open collector drivers, mechanical SPDT relays and semiconductor based solid state relays. 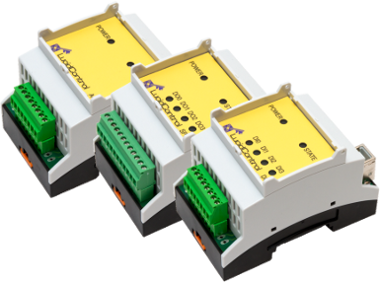 Actuators as well as power loads can be controlled by the USB Digital Output Modules by timer functions or pulse-width-modulated outputs, where each output can be configured independently. On the other hand the USB Digital Input Module allows to read up to 4 digital lines. The inputs can be configured for level signals as well as for counting mode e.g. in order to count events or in edge detection mode where a rising or falling transition can be detected. When Digital IO Modules are used the protection level is important in order to separate the controlling computer from the controlled circuits. 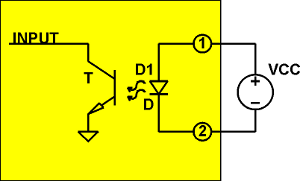 An optical insulation circuit decouples the signal part from the computer by utilizing photo-transistors as shown in the picture. The USB Digital Input Module for instance is available for threshold levels of 5V, 10V and of course 24V, which are often used for automation devices. Errors can be found quickly because of the optical indicators which the USB Digital IO Module provides. They reflect the current state of the inputs and outputs. When the USB Digital IO Module is used in combination, they work together hand in hand and are an effective USB DIO solution.